I know I’m way behind the times, but I decided that last weekend’s Rose Bowl Party needed something extra special (tired of me talking about that amazing game yet?). Since Bakerella first posted her Cake Pops three years ago, I’ve had them on my list to try. I’ve even had the materials sitting around patiently waiting on me. Seriously… I bought my lollipop sticks back in the Summer of ’08!! Procrastinate much? Nah, not me. Since this was a quintessential Texas party, I used a Dr Pepper cake for the base and purple TCU sprinkles. Super cute and definitely a rich treat… I needed a huge glass of milk to wash one of these down with! Plan a party and unlike me, get started on these now! Trust me, you’ll become addicted! After cake is cooked and cooled completely, crumble into large bowl. Mix thoroughly with 1 can of chocolate frosting. Roll mixture into quarter size balls, insert lollipop sticks about halfway into balls and then stick them into the wax paper-lined stryofoam so that they stand up straight. Chill for several hours; either in the refrigerator or freezer. After chilling, melt chocolate in the microwave (or on the stovetop set on LOW) per directions on package. Dip the balls into your melted candy and when removing from the chocolate, twist your wrist so that they chocolate drips off smoothly. Lightly tap your wrist if there is excess chocolate. Sprinkle the tops with a bit of sanding sugar. Using the same styrofoam, insert the pops so that they’re standing straight up and let harden. You can also chill once more if they’re not being eaten within a few hours. Preheat oven to 350 degrees F and spray a 13x9x2″ baking pan with cooking spray. Combine the Dr Pepper, oil, butter and cocoa powder in a saucepan over medium heat. When it comes to a simmer, mix well and turn stove off. Whisk sugar, flour, salt and baking soda together, then add to Dr Pepper mixture in saucepan and mix well, by hand. Do not overbeat. In a separate small bowl lightly beat the eggs and buttermilk together, then add to the saucepan and combine batter well by hand, but again, do not overbeat. Pour into the prepared baking pan and bake for approximately 30-45 minutes (depending on your oven) or until a wooden tester, inserted into the center of the cake, comes out clean. Do not overbake. Ooh…those look really pretty! 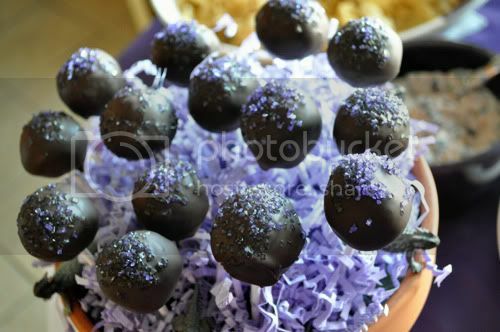 I’ve made cake pops before and enjoyed them immensely. However, I may make the Dr. Pepper cake as a regular cake or even cupcakes for when my sister comes to visit next week. She loves anything Dr. Pepper! These came out super cute! 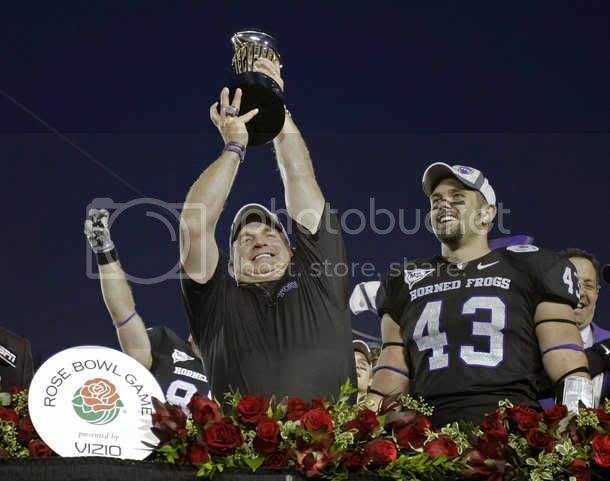 Go TCU! Ohhhhhhhhh be still my heart. Those sound amazing! Thanks so much for becoming a Rosebud! 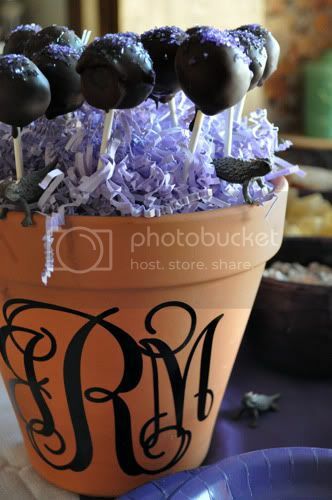 I do love your pot of cake pops (minus the geckos though coz I’m afraid of them!)!! I’ve never had cola cake before, it sounds interesting! Go Horned Frogs. 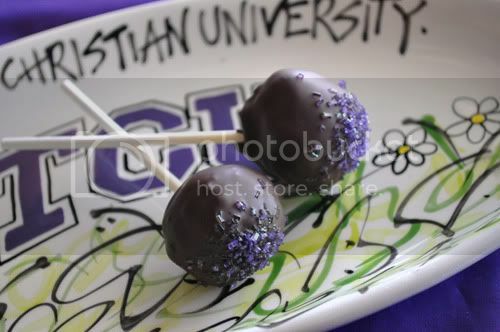 Nice cake pops!